We haven’t had a knock-down drag-out battle royal between two heavyweight MMOs on Leaderboard in quite a while. And hey, there’s no time like the present, amirite? Let’s say that in one corner we have WildStar, NCsoft’s sci-fantasy darling. And let’s say that in the other corner we have The Elder Scrolls Online, ZeniMax’s attempt to take the mega-popular single-player RPG series online. Which game do you see being more successful? Which game tickles your fancy the most? 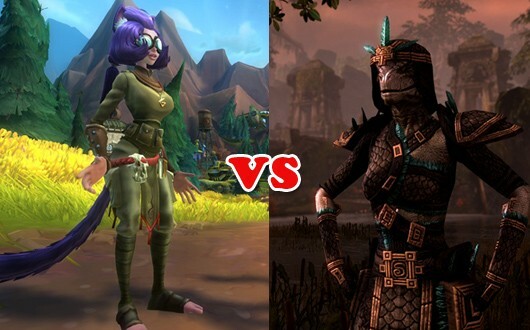 In short, WildStar or ESO? Vote after the cut!